Bulimia Nervosa, also known as Bulimia is an eating disorder where people consume massive amounts of food and then they purge (throw up) quickly or stimulate purge like symptoms through laxative use or partaking in exercises designed to rid themselves of all the extra calories they may have consumed quickly. Never ending cycles of eating massive amounts of food and then throwing it up takes a toll on the heart, kidneys, and other parts of the body. If left unchecked, it could have irreversible effects on the body, and it is potentially life-threatening. Usually, people with bulimia nervosa have an unrealistic body image or goal. They tend to be over-invested with an ideal weight or shape, and they are usually overtly self-critical. This is what spurs them on when forcing a purge. According to research, a rough 1.5% of women and .5% of men will experience at a point in their lives. This disorder affects women the most, and it is usually seen during their teenage and early adult years. Stage performers, musicians and generally people in the public eye are also at high risk of developing the disorder. In the past, famed athletes have also come out to detail their battle against bulimia nervosa. Because of the constant bingeing and purging cycles, bulimia patients are usually of an average body mass, and as such, there is little or no physical tells to watch out for. This is why the damage is usually done to the internal organs like the kidney, teeth, etc. Apart from the damage being done to the other internal organs of the body, another organ that suffers from bulimia is the teeth. Repeated vomiting causes major damage to the teeth. This is because vomit is a very toxic substance thanks to the stomach acids that it contains. In the stomach, the acids break down food in order to help your body with the digestive process. In the mouth, the acids do a lot of harm and no good. They continuously wear away the enamel that covers and protects the teeth. Also, brushing your teeth too hard after vomiting could also cause tooth decay. When vomiting is regular, the stomach acids wear the enamel to the point where there is a hole (or a cavity). Regular consumption of sugar infused items and fizzy drinks also speed up the process. A symptom of dental decay is gums that bleed when they are brushed. 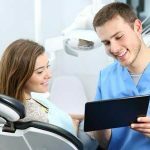 And if cavities do not get filled in due time, the hole gets bigger until it reaches the point of having to be extracted. 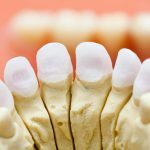 As the erosion progresses, the color and texture of the teeth are bound to change. For most people, the teeth get weaker and more brittle over time. The teeth also chip easily and end up with a ragged look towards the bottom. In some cases, they take on a yellowish color, or they may have a glassy appearance. Bulimia could also cause the shape and length of the teeth to change. The stomach acids could also irritate the glands at the sides of the cheek. These are saliva producing glands which help in swallowing. Saliva also helps protect the teeth against decay. A major symptom of an irritated gland is a noticeable swelling around the jaw. Should the symptoms of bulimia go untreated, the changes that occur could end up being irreversible. However, salivary gland swelling is reversible as long as the cycle of bingeing and purging stops. Apart from the enamel and the saliva glands, the stomach acids also affect the skin on the roof and sides of the mouth potentially causing long-term damage to the throat. The end result of this includes painful sores inside the mouth and the throat. The sores also swell up and could end up being infected which leads most patients to feel like they have a constant sore throat. A lack of saliva in the mouth could also trigger the feeling of being parched. Commonly referred to as dry mouth, it is more than a slight annoyance. Dry mouth affects eating habits by changing the flavor of food. 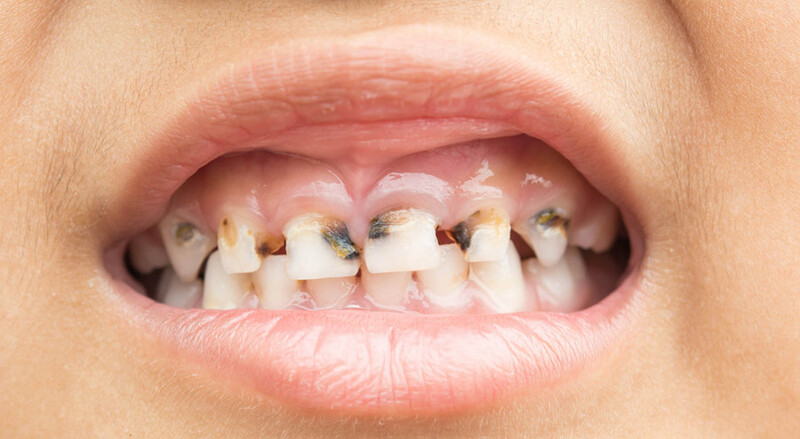 It can also cause permanent damages to the teeth because saliva which is meant to cleanse the mouth of bacteria that causes tooth decay is missing. Dry mouth aggravates the intensity of pain felt by bulimia patients. 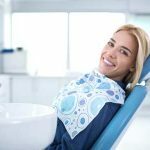 As the enamel begins to wear, the inner and sensitive part of the teeth is left exposed. This usually triggers pain as the teeth usually become very sensitive. From overly hot meals to ice cream cones, having over sensitive teeth makes consuming meals difficult as chewing and swallowing becomes a chore. There is no standard rate of erosion for the enamel. It usually varies from person to person, and it depends on the cycle of bingeing and purging. To take care of Bulimia nervosa, the first thing to do is to put an end to the cycle of bingeing and purging. 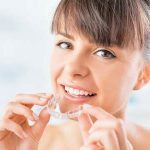 Regardless of how much and how intense dental care you receive, continuing the cycle will only cause the enamel to keep on wearing off. Furthermore, a trip to the dentist is needed. In order to manage your symptoms, care would have to be given to the already affected parts of the mouth. The dentist is going to fill in the cavities, repair broken teeth and help soothe the swollen gums. Subsequently, it is important to treat the Bulimia itself. A trip to your doctor should help you with this. Above all, to stay above bulimia, it is essential to stop the cycle. Make regular trips to your dentist to continuously care for your teeth, gums and all the other parts.